Sarah Jane Keller is a science and environmental journalist with a background in ecology and climatology. 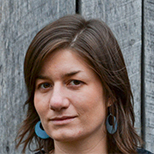 She writes about conservation and natural resources from Bozeman, Mont. Her work has been published by High Country News, New Scientist, Conservation, Wired.com, Adventure Journal and others.